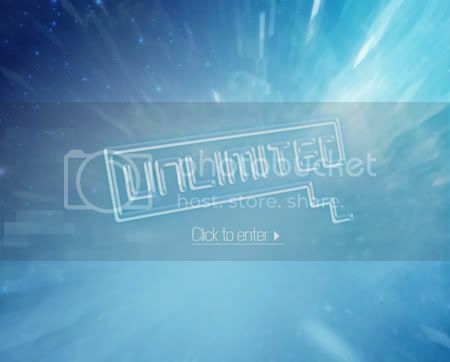 Unlimited is a massive entertainment space-ship that has landed nose-first on the surface of Facebook. 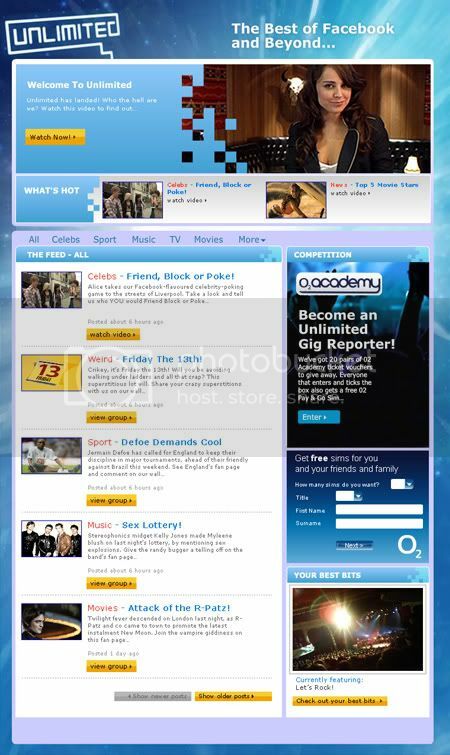 If you love music, celebs, telly, movies, fashion and sport; and wish to be pleasured by the best of Facebook and beyond, welcome to the pleasure-dome. Every day we’ll bring you the most talked-about subjects on Facebook, along with weird and wonderful groups, fan pages and polls. Add to that a large dollop of exclusive interviews, lashings of features and a sprinkle of mouth-watering competitions and you’ve almost got the measure of us. But the cherry on the Unlimited cake is you. We want YOUR best photos, YOUR best videos and whatever else of yours that YOU feel like sharing. Send us your best bits and Unlimited will share them with the world; and other galaxies far, far away. We worked in conjunction with RDF to produce a platform that aggregates all the cool happenings and buzz on Facebook and the wider web in one convenient place. Fingers crossed this gets picked up and becomes a big success!